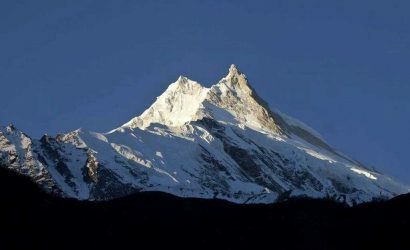 The newly opened spectacular and unique Himalayan trail lies in the popular Annapurna region which starts at Besisahar. This trail passes through the Nar and Phu Valleys enriched with ethnically-Tibetan origin inhabitants and the Thorung La Pass eventually. 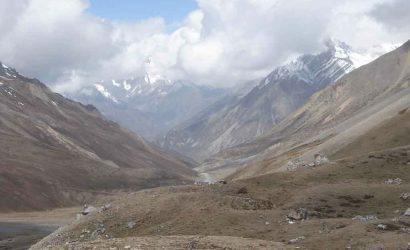 This trek gives an exposure to high peaks and passes, glaciers, narrow canyons, gompas and traditional remote villages. 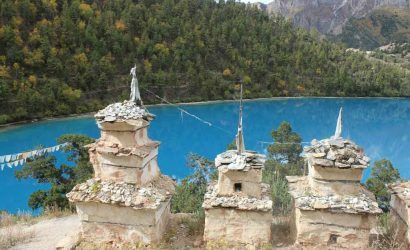 Nar Phu Village trek is an extension of Annapurna Circuit trek and there is a great opportunity of crossing the adventurous Kang La Pass (5,315m/17,438ft). The Nar Phu Valley was closed to foreign trekkers until 2002. Very few foreigners have explored these virtually untouched villages or climbed the many 7,000 meters peaks available in the valley. 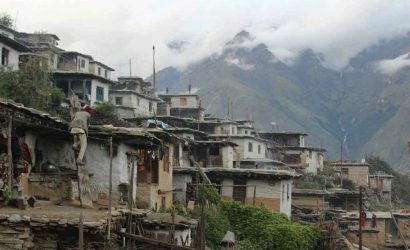 Nar Phu village trek needs a special trekking permit. We make our venture camping along the way at the winter settlement of Nar and Phu Valleys. We also pay a visit to some of the most unvisited Tibetan Buddhist world in the area. 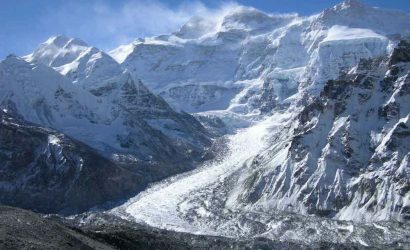 Exploration of high alpine valleys above Phu up to Himlung Base Camp and crossing over Kang La Pass from Nar to Ngwal on the Pisang route is significantly challenging. In Phu village, there is a chance to visit the renowned Tashi Lhakhang Gompa and receive blessings from Lama Karma Sonam Rimpoche. The trek then leads over the Thorung La pass (5,416m/17,769ft) adding yet another challenge. 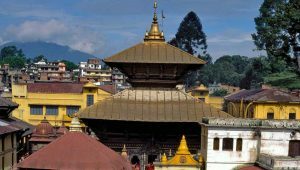 This trek finally ends at the popular shrine Muktinath Temple and we take a scenic drive to Pokhara next morning. Drive (175km) from Kathmandu to Besisahar (823m/2,700ft). Trek Besisahar to Bahundanda (1,310m/4,298ft). 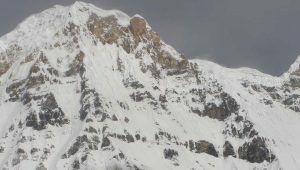 Trek Chamje to Bagarchhap (2,160m/7,086ft). Trek Bagarchhap to Koto (2,600m/8,530ft). Trek Koto to Dharmasala (3,230m/10,597ft). 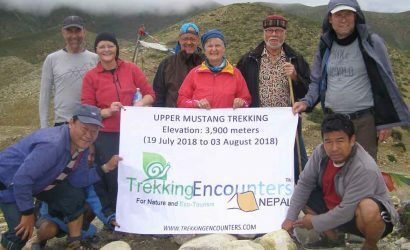 Trek Dharmasala to Kayang (3,740m/12,270ft). Trek Kayang to Phu (4,050m/13,288ft). Rest day at Phu for acclimatization and excursion. Trek Phu to Junam (3,550m/11,647ft). Trek Junam to Nar (4,150m/13,616ft). Rest day at Nar for excursion. Trek Nar to Kangla Phedi (4,530m/14,862ft). Trek Kangla Phedi to Ngawal (3,650m/11,975ft) crossing over Kang la (5,315m/17,438ft). Trek Ngawal to Manang (3,540m/11,614ft). Rest day at Manang for excursion. Trek Yak Kharka to Thorung Phedi (4,450m/14,600ft). Trek Thorung Phedi to Muktinath (3,760m/12,336ft) after crossing Thorung la (5,416m/17,769ft). Drive Muktinath to Tatopani and continue to Pokhara. 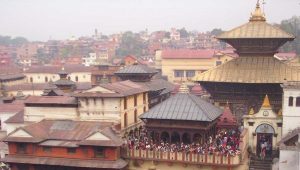 Drive (200km)/fly from Pokhara to Kathmandu.